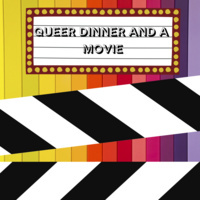 Join the Center for Race, Equity and Identity on Friday, April 19, 2019 7:00-9:15pm in Batza for “Queer Dinner and a Movie”. We will be exporing the portrayal of transgender people and experiences in films. Hope to see you there! Note: This event welcomes all students (regardless of sexual orientation and gender identity) who are interested in exploring media representation of the LGBTQIA community.